INDUSTRY.co.id - Jakarta - National energy and mineral resources sector (ESDM) Idul fitri 1439 H recorded on the first day of Lebaran (15/6/2018) condition of electricity and supply of National Fuel (BBM) in safe condition. "The celebration of Idul Fitri 2018 is supported by a qualified electrical system that makes hospitality and mutual forgiveness-forgiveness can run optimally," said Chairman of ESDM National Post Team Posko Fanshurullah Asa in Jakarta, Friday (15/06/2018). The Post reports the electricity system in all parts of Indonesia under normal conditions. The carrying capacity of the national electricity system is 30,896.23 MegaWatt (MW), while the peak load is only 26,459.58 MW. The operating reserves of the national electricity system reach 4,373.52 MW. In addition to ensuring controlled electrical conditions, the Coordinating Ministry ensures fuel supply, Liquefied Petroleum Gas (LPG) and Gas Network (Jargas) in safe condition. Premium stocks of Premium fuel can last for 21 days, Solar 19 days, Pertalite 22 days, and kerosene 46 days. 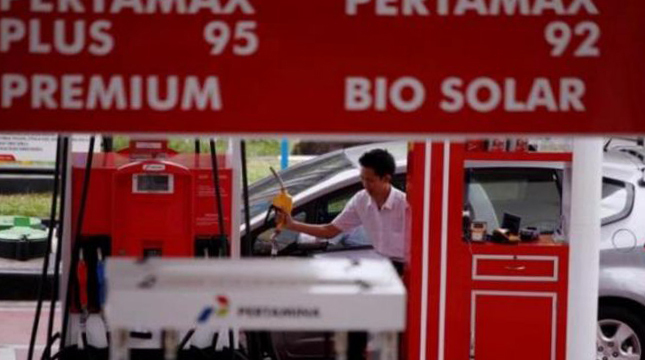 While for Pertamax / AKRA have reserves up to 22 days, Pertamax Turbo 43 days, Pertamina DEX 28 days, DEXlite 18 days, and Avtur 29 days. In general, the fuel distribution is running normally. In addition, LPG stock conditions are in normal status with reserves of up to 18 days. The condition of BBG and Jargas also channeled well. Facing the backflow of Lebaran, the ESDM Ministry will anticipate a surge in energy consumption and continue to report on the current state of the geological sector. "We will coordinate with the ESDM National Post team to anticipate the backflow after Hari Raya Lebaran, it is estimated that the busy route of homecoming on June 9 to 10, will return solid on June 19 to 20 while the lanes are crowded on 13-14 June, will return solid on 23-24 June next, "said Fansurullah.